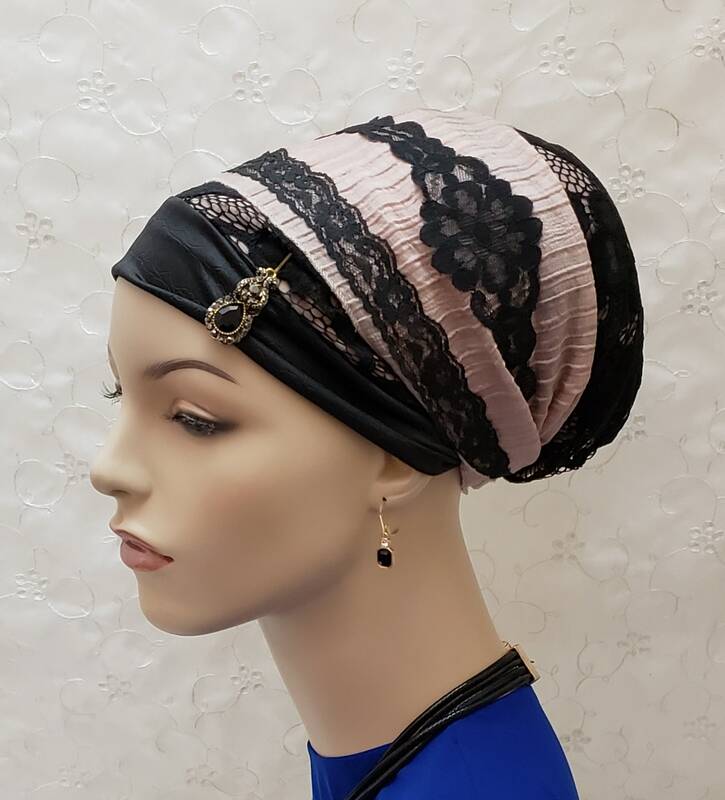 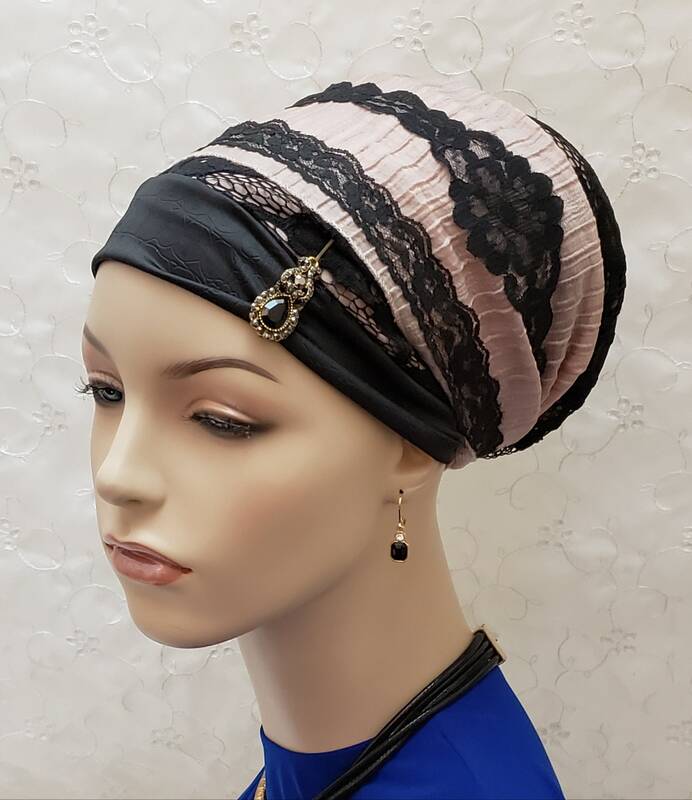 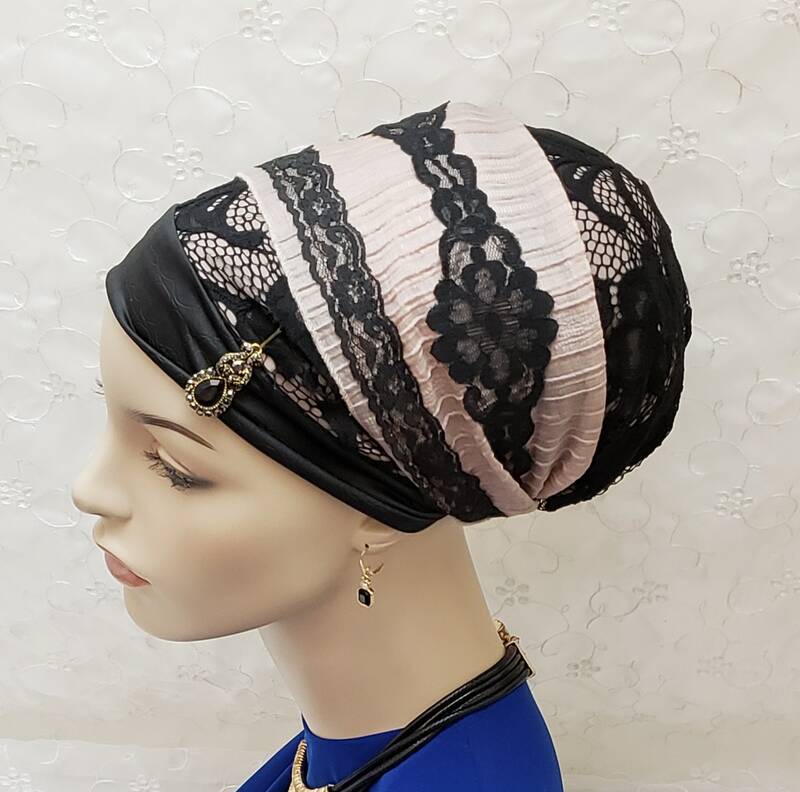 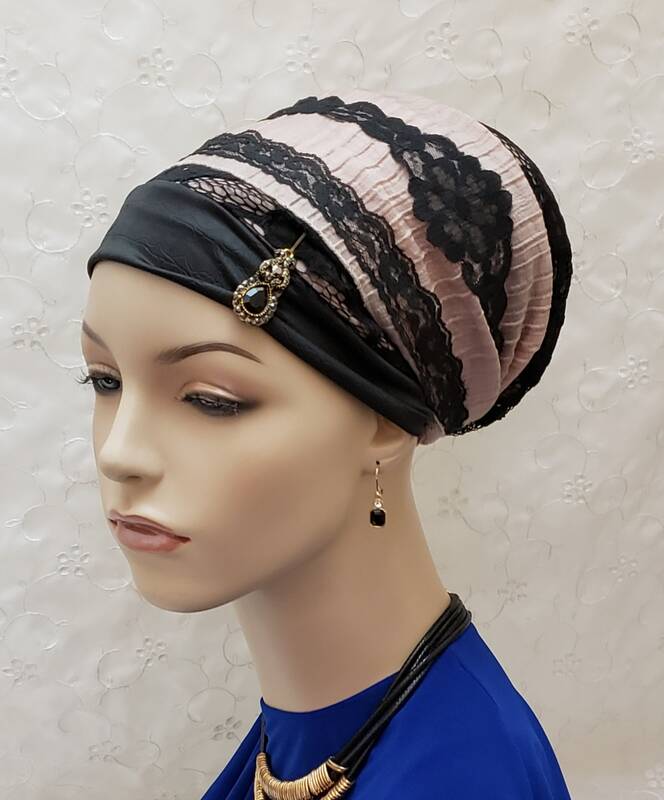 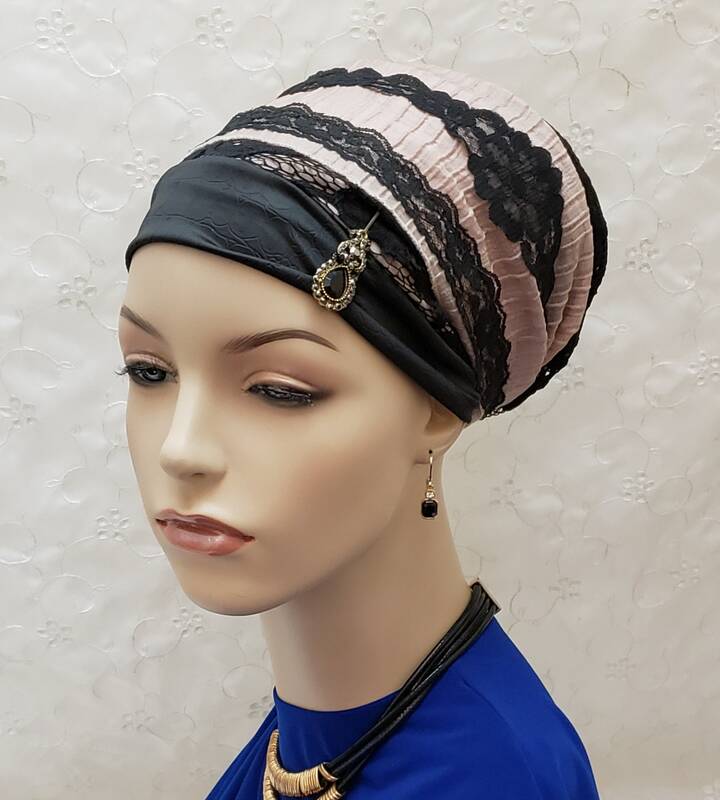 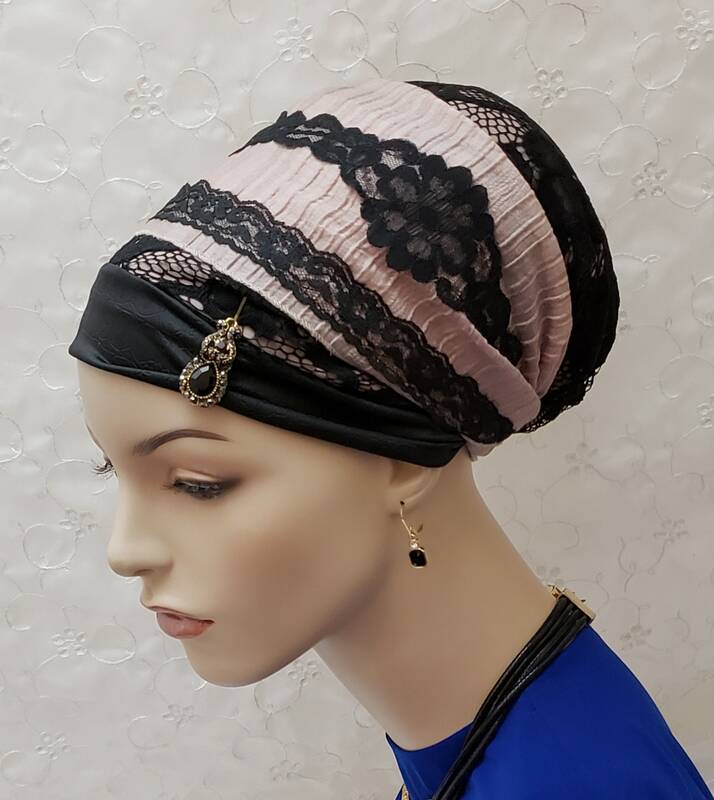 Gorgeous black rose lace sinar tichel with lots of lace accents! 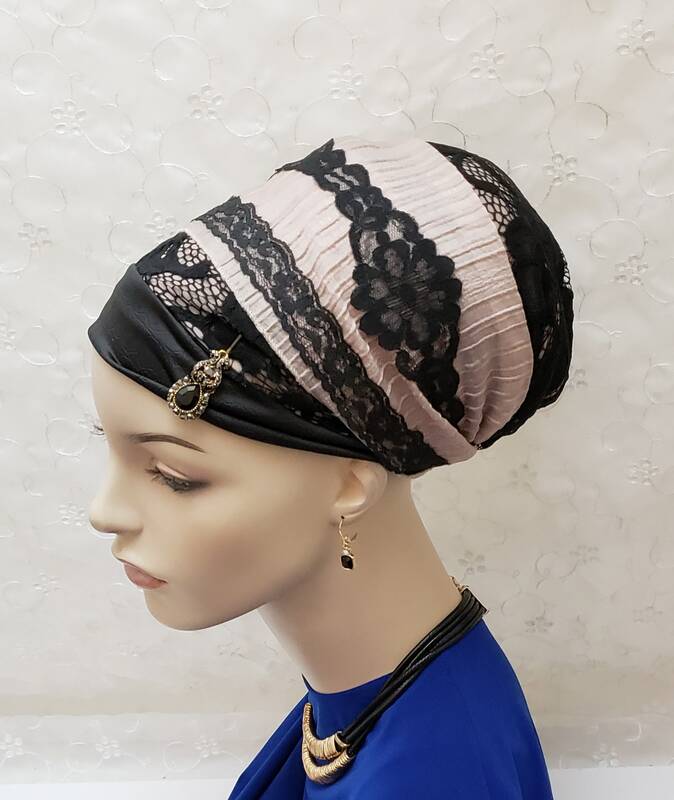 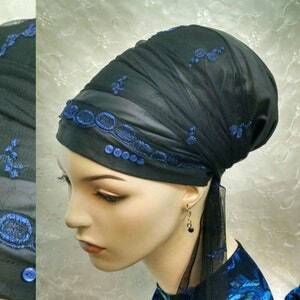 A stunning topper for your wedding, Shabbat or special occasion outfit. 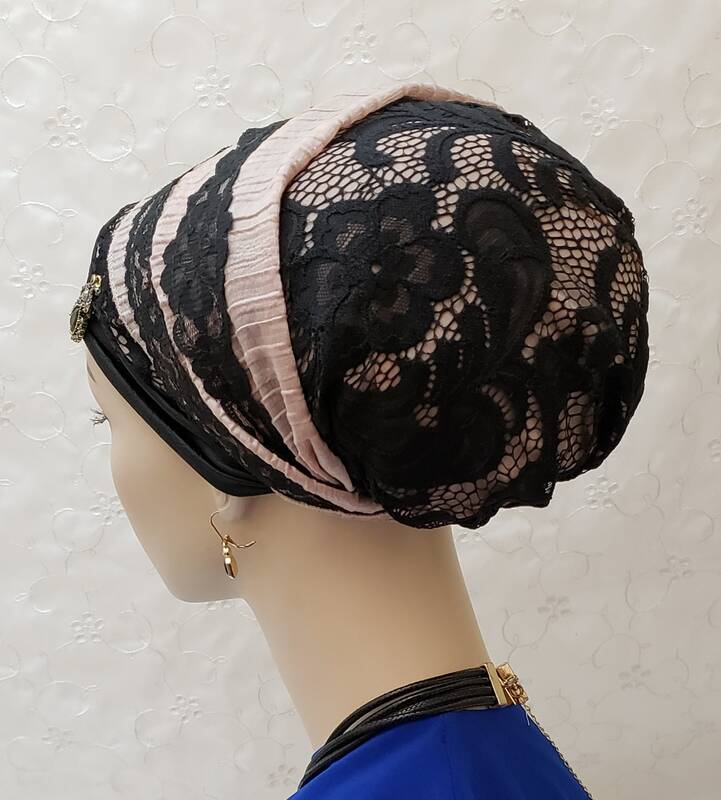 Lace is fully lined so your hair or volumizer won't show through. 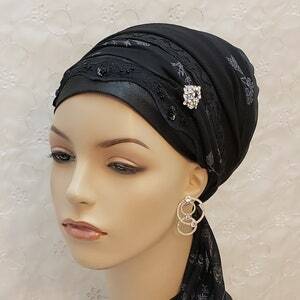 Black decorative bobby pin IS included! 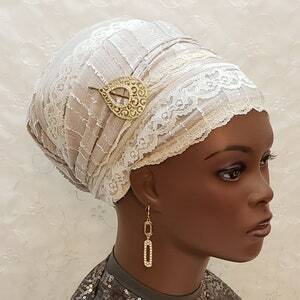 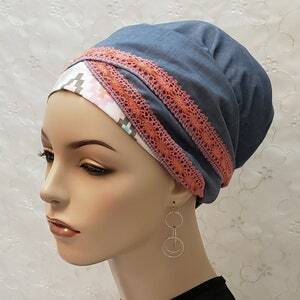 The pin can be worn in front or on the side of the scarf, adding a beautiful touch!